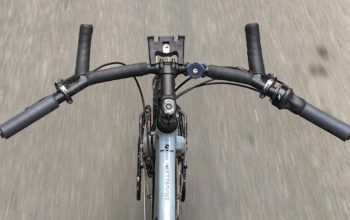 The 14-speed Rohloff hub is a wonderful bit of touring kit – there is no disputing that – but the Rohloff shifter has always been a polarising item for two reasons: it isn’t available as a trigger shifter, and it’s generally hard to fit to a bike with a road handlebar. 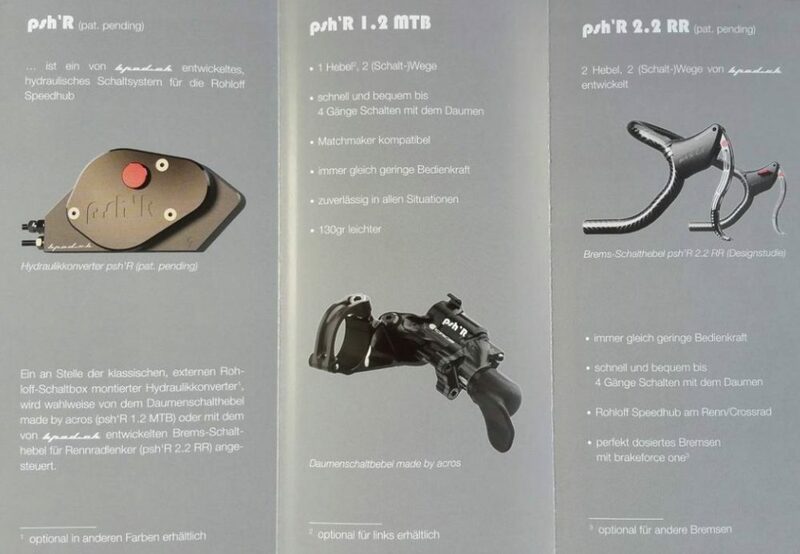 I’ve always kept resources which help you with Rohloff shifter workarounds, such as the list of ways to use a rohloff shifter with road handlebars, and information on items like the Gebla Rohbox which allows you to pair STI road shifters and MTB trigger shifters to your Rohloff hub. But now there is now a new shifter on the block. 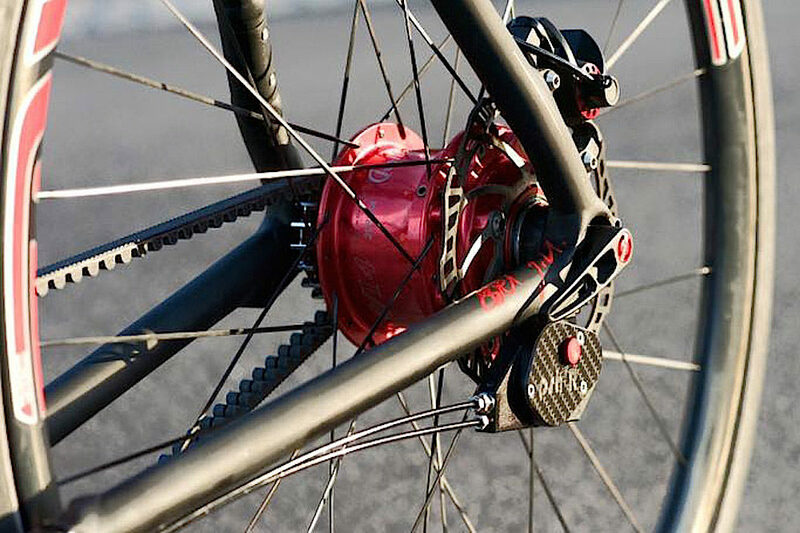 The psh’R is a hydraulic shifting system for the Rohloff hub. 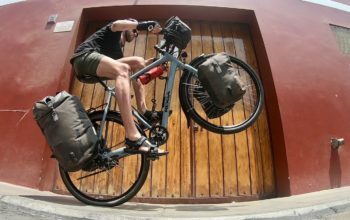 It’s based around the Acros hydraulic shifter which has been in production for over five years, and is very well proven now. The all-new component is the external shift box at the hub. 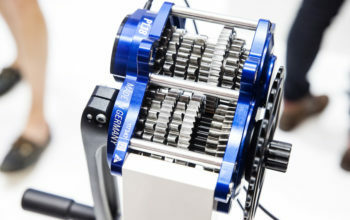 The shifter works as you’d probably imagine: one lever shifts up, the other shifts down. 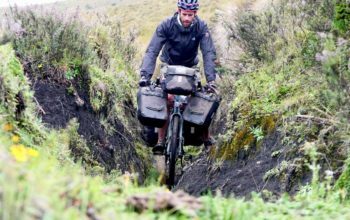 You’re probably wondering why the heck anybody would want hydraulic shifting on their touring bike, and I tend to agree with that sentiment – especially if you’re riding in remote locations like me. 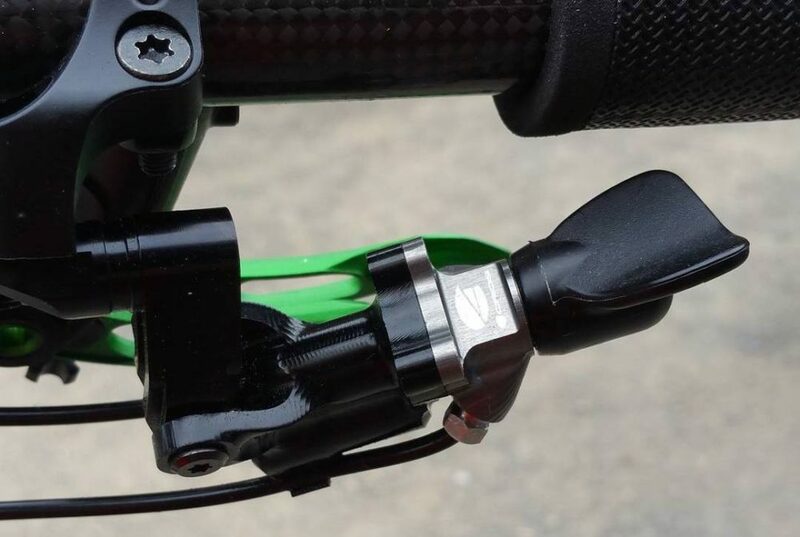 The idea behind a hydraulic shifter is to reduce friction in your shifts, and given the system is entirely enclosed, achieve perfect shifting in mud, sand and snow. 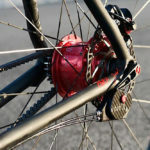 Realistically, this system would be best used in the developed parts of Europe where hydraulic rim and disc brakes are mainstream, and access to spare parts and capable mechanics is much more common. 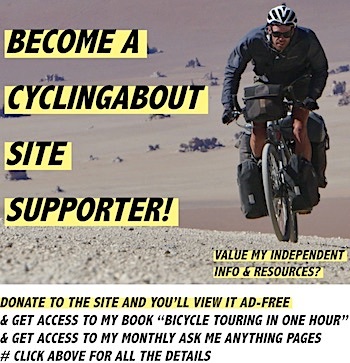 The best application for hydraulic shifting that I can think of is on my touring tandem. 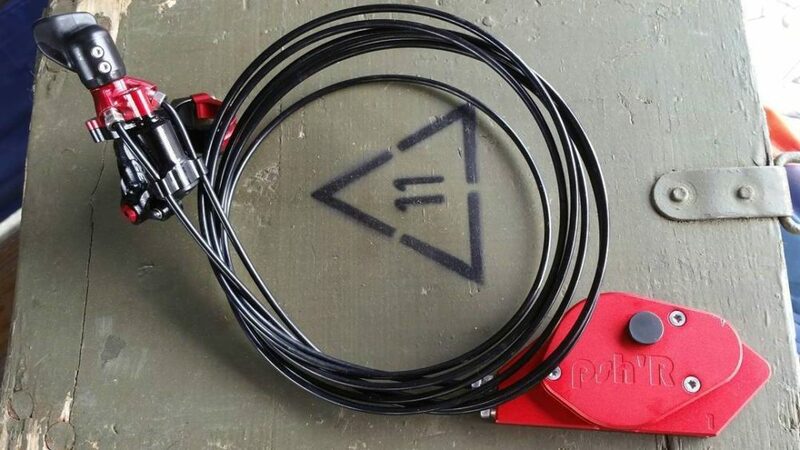 There’s quite a bit of friction in the long Rohloff cables from the front of my bike to the rear, so a hydraulic shifter would improve my shifts dramatically. 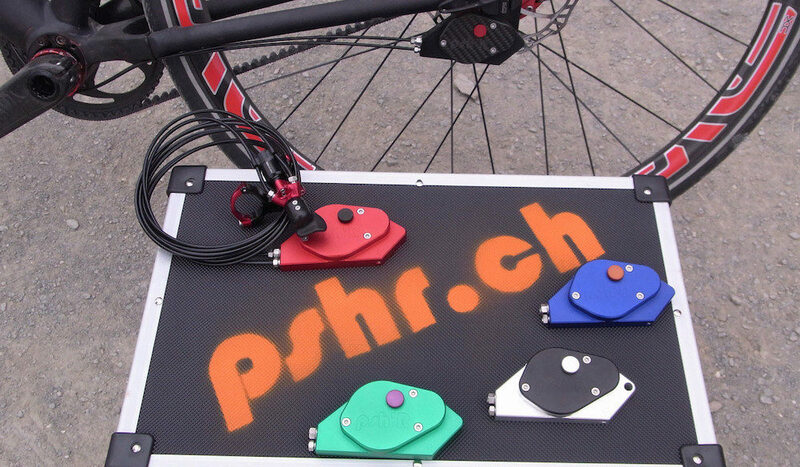 The psh’R hydro shifter will be available in multiple colours to match your bike. In development is an integrated road shifter too… I’ll provide you with more details when I can! The psh’R hydraulic shifter and shift box will be available for around €500 early next year, and will come in a selection of colours. Keep your eyes on PSHR.ch for more information. 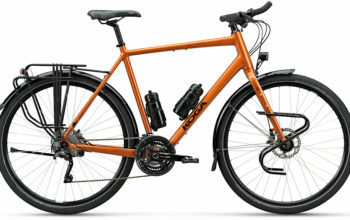 Interested in a Rohloff Hub? 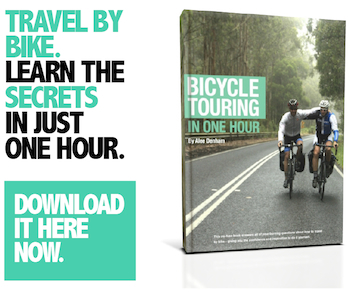 Here are 15 Reasons Why They’re Great!